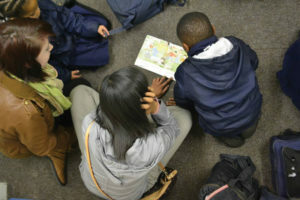 According to the latest Progress in International Reading Literacy Study (PIRLS) report, early childhood literacy rates remain low, with 78% of Grade 4 pupils in South Africa unable to reading for meaning (understand content). This ultimately affects their self-esteem and ability progress further in their education. 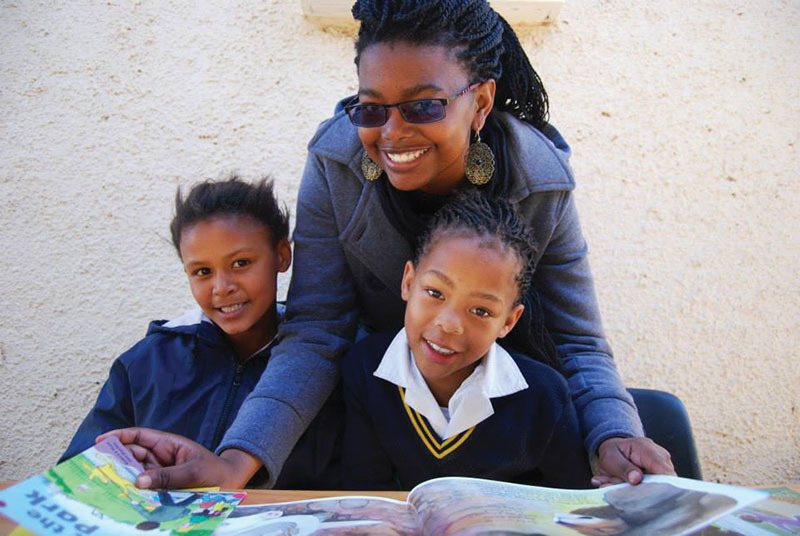 The Inkwenkwezi Society aims to implement change through the use of preventative resources provided by national NGOs – such as Wordworks and Shine, to enhance the individual strengths of pupils as well as promote their mental well-being and resilience in schools around Grahamstown. The Inkwenkwezi Society provides individualised reading, writing and speaking programmes to children in Grade 1-3 at George Dickerson, St Mary’s and Samuel Ntsiko from Monday to Thursday. 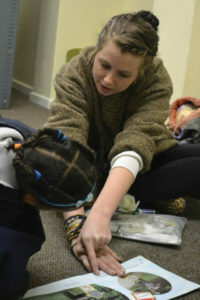 Inkwenkwezi is a volunteer-run organisation. Each volunteer is paired with one or two children. Children are included in the programme based on a needs assessment conducted by teachers at the partner schools. The volunteers meet with their children once or twice a week for a year to help enhance the child’s English literacy skills. Inkwenkwezi society began in 2010 and partnered with Rhodes University Community Engagement (RUCE)and an organiation known as Project Read in 2011. Since its inception, Inkwenkwezi has been a popular society at Rhodes, with up to 100 members at its height! After a recent dip in membership, the Society has been building itself up and deepening community ties with the hope of regaining membership and being able to spread its reach to more schools as happened previously. All volunteers are provided with and trained to use the learning materials. The training encourages the volunteers to adapt the Words-Works programmes to create creative and personalised learning programmes for the children with whom they work. In this way, the society creates a creative learning environment which focuses on an enhancement of each child’s strengths. 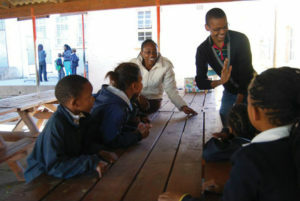 The programmes created by Inkwenkwezi have had a positive impact on each child’s enthusiasm towards their education. In addition, at the end of a child’s programme, there is a notable difference in their self esteem in that the students are more capable and confident in reading, writing and speaking in English. In addition, the programme has had a positive impact on each child’s sense of self worth as they feel they have role to play in the classroom and want to be there. Inkwekwezi thinks of this time as an exciting opportunity to change its structure to become more sustainable, enjoyable and beneficial towards both volunteers and the Grahamstown (Makhanda) primary school pupils. The team has included many more volunteers and focused on making the society a friendly, fun and meaningful place for students to find community with like-minded and passionate people.